Comfort food for a winter evening! 1. Put ginger, garlic, turmeric, paprika, black pepper, onions and chillies in a food processor and puree. Set aside. 2. In a oven-proof casserole dish, brown off the lamb and then add the puree and cook for 3-4 minutes. 3. Add the tomatoes, chicken stock, cinnamon stick, cloves, bay leaf, cardamom and peppers. Season with a pinch of salt. 4. Cover the casserole dish with a tight-fitting lid. Place into a pre-heated oven (160˚C) for 2-2 ½ hours until the lamb is tender (check after 1 hour). 5. Remove from oven, add the yoghurt just before serving. 6. Garnish with fresh coriander and sliced chillies. Best served with your favourite rice dish- you can add saffron to your rice if you want to add an extra touch of indulgence. John, Head Chef at Kingfisher. 2015 has been a busy start to the year for the KF team already. With corporate lunches, menu tastings and events already happening, we have started the year with a bang! With well over 40 weddings booked in already, this year is going to be a busy one for us all! Meeting our lovely excited brides & grooms is a delight, the kitchen team are making final touches to superb dishes and we are recruiting new front of house staff, and who said January was the quiet month! Saturday we catered for the delightful Gerrard family, to celebrate their middle son’ 21st birthday. We previously catered for their eldest son’s 21st 2 years ago and their 25th wedding anniversary. We feel very proud to keep being invited back, some of the guests remembered us and were so pleased to see us again. We served a champagne reception with canapés to 25 of their guests all in black tie in their living/dinning room. The white linen laid tables and the removal of the sofa to the back garden made it look like the best restaurant in town! They then sat for a perfectly served 3 course meal, stating with Salad of Seared Duck, Pancetta, Watercress, Pink Grapefruit, Honey Lavender Dressing, followed by Braised Shank of Lamb, Buttered Mash, Redcurrant and Mint Jus, Crispy Leeks, Honey Glazed Vegetables, with Bakewell Tart, Rhubarb and Custard for dessert. 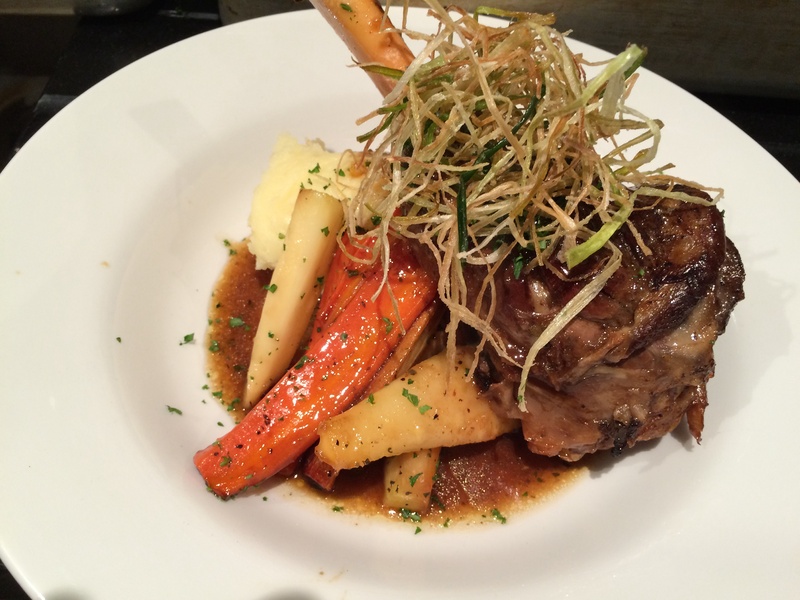 Cooked to perfection by John, the lamb just fell from the bone, delicious! 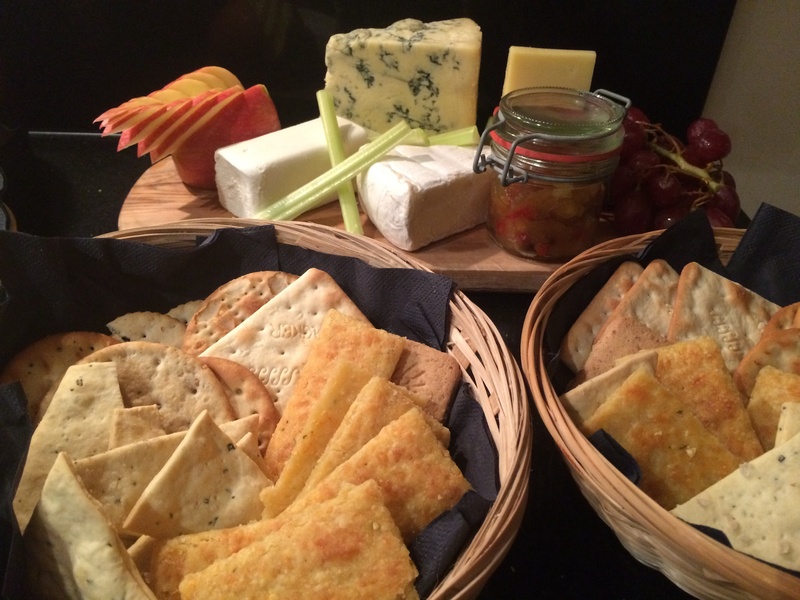 Tea & Coffee served with homemade Petit Fours followed, along with cheese boards and homemade crackers. We left to a standing ovation and great praise, a great event to start the year! So the theme for this year just seems to be busy one, with the first wedding only a few weeks away we are preparing hard. Everyone is excited and looking forward to a fantastic year ahead!